Miami Beach is a hot spot in summer, constantly buzzing with locals and tourists migrating to soak up the sun and ride the waves. It is also known for the myriad of bars and restaurants that line the street that explore the depths of American cuisine and ethnic flavors. The Yard Bird Southern Table and Bar is Miami’s favorite Southern restaurant, serving fresh ingredients, Southern cooking, culture and hospitality. The Yard Bird philosophy originates deep within the concept of tradition, hard work and family. At Yard Bird, customers can indulge in some wholesome southern fried chicken as well as a healthy farmer’s salad to balance the fried goodness. A range of cocktails and other beverages complement the delectable cuisine. The new summer menu offers elevated comfort fare such as the Country Sausage Toast, Herb Garden Caesar, Grilled Chicken BLT along with delicious sides and snacks, including Cool Ranch Cucumber Salad and Southern slaw. To top it off, the peach cobbler dessert is a perfect ending to what was an engaging experience. 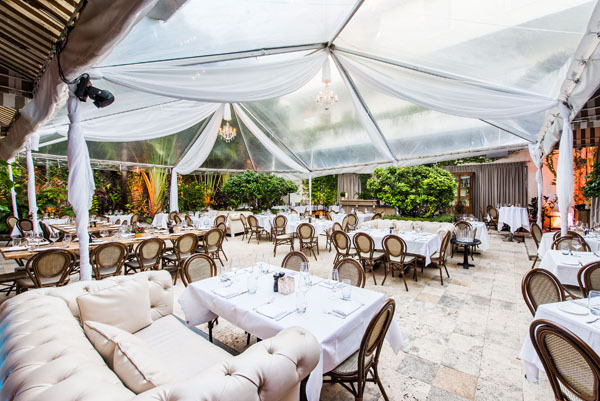 Villa Azur brings a slice of French taste to the sun sandy beaches of Miami. This beautiful gourmet restaurant offers tantalizing French Mediterranean dishes prepared with an Italian twist to offer diners a unique and memorable dining experience. The swank supper club and romantic dining terrace provides the perfect space for locals and travelers from every corner of the world. Inside, guests are welcomed with style and a relaxed atmosphere during the earlier parts of the day. 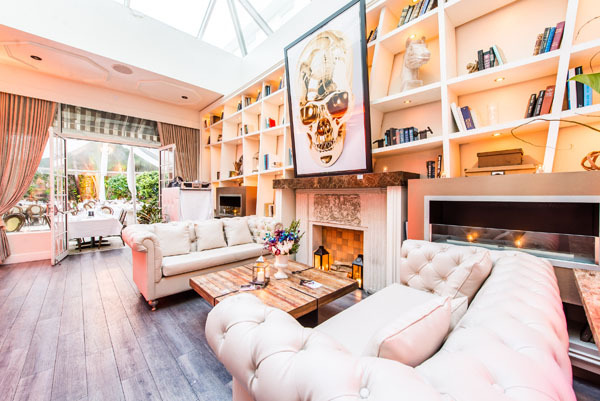 Romance is high flung in this perfect setting, which encompasses a bar and lounge, alongside the dining room that mimics sleek and contemporary with a hint of luxury qualities. French doors open to a leafy, lushly landscaped courtyard patio, perfect for evening diners. Coveted in cream colors and off white, this establishment is a sight to see and is the perfect setting for a romantic dinner. When the sun falls and the moon rises, this elegant space turns into a chic nightspot, with a DJ booth and crowds piling in sporting their best dress. The room lights in shades of purple, orange and blue neon lights transforming the quiet buzz to a boisterous buzz. The parties held here are some of the most exclusive and best parties in Miami. Villa Azur is quickly gaining a reputation for its nightlife—and for a good reason. As for the menu, Executive Chef Erwin Mallet provides the perfect balance of old and new techniques to perfectly master every dish served. Items such as the pork tenderloin, slow braised in red wine and orange zest and truffle French raviolis add home-style comfort to the menu. The dishes are refined, yet simple, offering delectable fare, with a touch of elegance and charm as a clear nod to his homeland France.